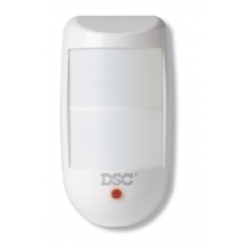 The DSC Bravo 6 motion detector provides superior pet immunity - Introducing Bravo6 Dual Element PIR from DSC. Stability, sensitivity and cost effectiveness. Not just a detector for harsh environments, Bravo6 offers a new level of detector performance your business can depend on in every security installation.